This is a custom printing service BY DESIGNERS FOR DESIGNERS. There are heaps of support features and within minutes you'll know how to supply signs and custom printed banner signage for your customers the easy way! It's a great opportunity for you to join Signs Banners Online dot com and make indoor and outdoor banners, signs and display graphics with your creative and get customers. S B O uploads your creative directly into the print factory. It's easy! You can quickly upload your creative into the printing queue and instantly see how your design will be printed, it's production technique and how it's made, then watch as each stage moves around the factory and to your door. It's faster, easier and cheaper! 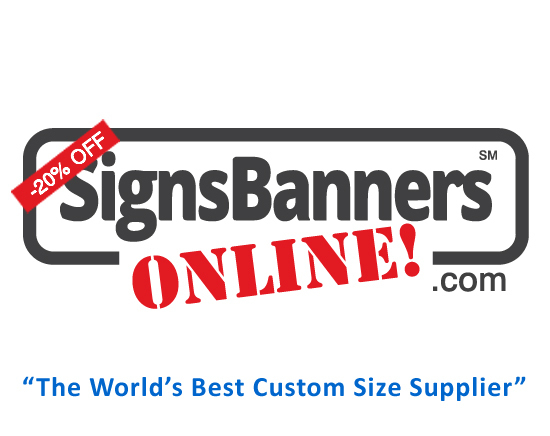 Fast... Signs Banners Online is the factory you use for printing and sewing banners with huge discounts. Shipping is everywhere..., and there are heaps of graphic design support videos, learning techniques and features too! For a graphic design firm or freelancer... it's the perfect solution. So! 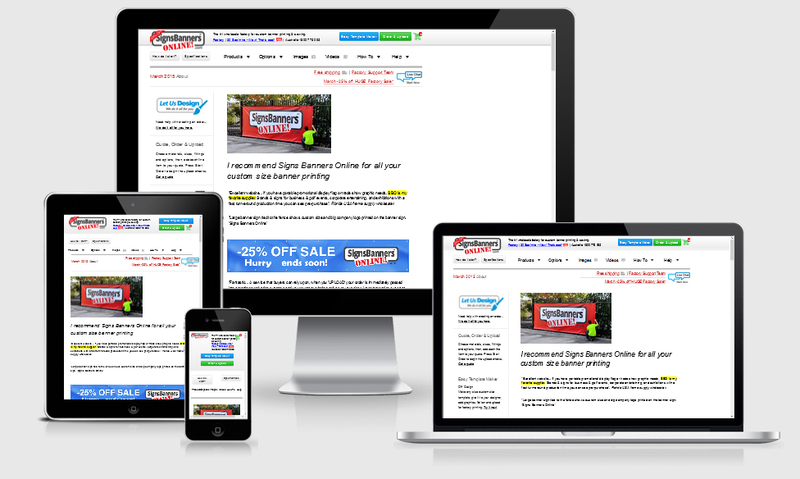 if you want another skill for your clients, add Signs Banners Online dot com to your services today. "Signs Banners Online dot com... the designers factory". Device friendly, work from anywhere! Ideal for mobile friendly work, you can access and manage your orders from devices and many platforms.